San Francisco has its fair share of alternative spots that rival the touristy ones, and will allow you to get to know the city beyond its main sights, and give you a glimpse into what life would be like if you were a local. As someone born and raised in the City By The Bay, these are some of my favorite spots around town that I love to recommend to visitors. If you have already done the Fisherman’s Wharf/Chinatown/Alcatraz route, here are a few other options to add to your itinerary. Swap the well-know penitentiary island of Alcatraz for the more tranquil Angel Island. Alcatraz is worth a visit, but once you see this former prison, take the ferry to the much more scenic Angel Island that boasts miles of hiking trails and even camping grounds (reserve in advance) where you can spend the night under the stairs. The views of the San Francisco skyline, Mount Tam and the Marin Headlines are well worth the trek out there. Despite the current beauty of this state park, Angel Island has a dark past where immigrants from Asia were held against their will and prohibited from entering the U.S. The Immigration Station now holds a museum where you can learn more about the somber history of the island. Swap touristy Fisherman’s Wharf for the quieter waterfront walking paths of Crissy Field. This former army airfield-turned-scenic national park boast up-close views of the bridge. Watch dogs run off-leash and play in the surf, joggers on their afternoon run, and families taking a weekend stroll all under the shadow of the Golden Gate Bridge. This spot boasts one of the best viewpoints in the city to watch the fog start to roll in off the Pacific for a truly San Francisco sight. There are several popular destinations within Crissy Field, including Crissy Field Marsh, Crissy Field East Beach, and West Bluff Picnic Area. If you do get hungry, there’s the Warming Hut, a café that provides snacks and warm beverages to help ward off the chill. Swap the kitschy eateries of Chinatown’s Grant Avenue for the more authentic Chinese restaurants in the Sunset District. San Francisco’s Chinatown is an important part of the city’s history, but unless you know where to go for food, you run the risk of eating at a mediocre, tourist-oriented restaurant. Instead make your way to the fog-filled neighborhoods of the Sunset District where some of the best Chinese food awaits. It’s a bit of a trek to this neighborhood, but if you take an Uber or Lyft you can get there pretty quickly (the perks of San Francisco being a small city). There is Dumpling Kitchen for solid xiaolong bao dumplings, and House of Pancakes for their savory beef roll pancakes (jump on the Yelp Waitlist if you are going at peek dining hours). Swap the well-trodden Filbert Steps for the lesser-known 16th Avenue Tiled Steps. One of the positive things about all those steep hills throughout the city are the hidden staircases that are tucked into neighborhoods. The Filbert Steps are worth the guarenteed shortness of breath, but once you have checked that off your list make sure to head to these mosaic tiled ones that features the sun, the moon and the sea. This staircase is in the Inner Sunset and boasts a view of the surrounding neighborhoods and if you’re lucky you can see the ocean on a clear day. If you can, go during sunset, when the tiles are illuminated and you are treated to a front-row seat of the sun setting over the city. Swap hip Mission bars for neighborhood watering holes in the Inner Richmond. Let’s face it: the Mission neighborhood is where all the cool kids go at night due to the wide selection of hip bars. But if you want to break out of the Mission bubble for a night, the Inner Richmond is a great alternative. Local Irish bars are plentiful, including the Plough and the Stars, which has live music, pool tables and cold pints of Guinness. There is also the The Bitter End, which is exactly what a neighborhood bar should be: well worn, inviting and most importantly you can have a normal conversation without having to yell over all the noise. An added bonus is that there’s a lot of good places to eat in the Inner Richmond beforehand in the area. Swap Alamo Square Victorians for Pacific Heights mansions. Alamo Square is iconic for its row of Victorian homes, but these are not the only pretty homes in the city. Pacific Heights has plenty of century-old mansions that boast a view of the bay. Famous residences include the Haas-Lilienthal house (which is open for tours), and Spreckles Manision (home to romance novelist Danielle Steel). Many of San Francisco’s wealthiest families have lived out their lives in these palaces, and you can hear some of their stories by joining a free Pacific Heights Mansions walking tour from San Francisco City Guides. 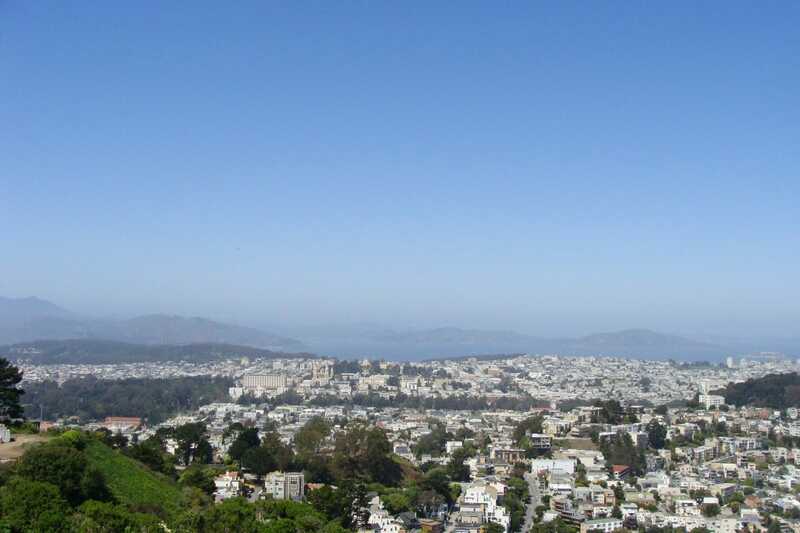 Afterward, head to Alta Plaza Park, for some panoramic views of the city and surrounding neighborhood. Swap the city’s larger museums for this smaller museum that focuses on local history. The Beat Generation was a significant part of the city’s history, with Alan Ginsberg publishing “Howl,” at City Lights Bookstore (which is around the corner and worth checking out). This museum is more intimate than the larger ones in the city like the Academy of Science and SF MOMA, but provides lots of insightful artwork, writing, and artifacts on this counterculture movement and the influential individuals who were at the head of it. There is also a bookstore/gift shop as part of the museum that has controversial books to browse. Do you have any favorite off-the-beaten-path spots in San Francisco?